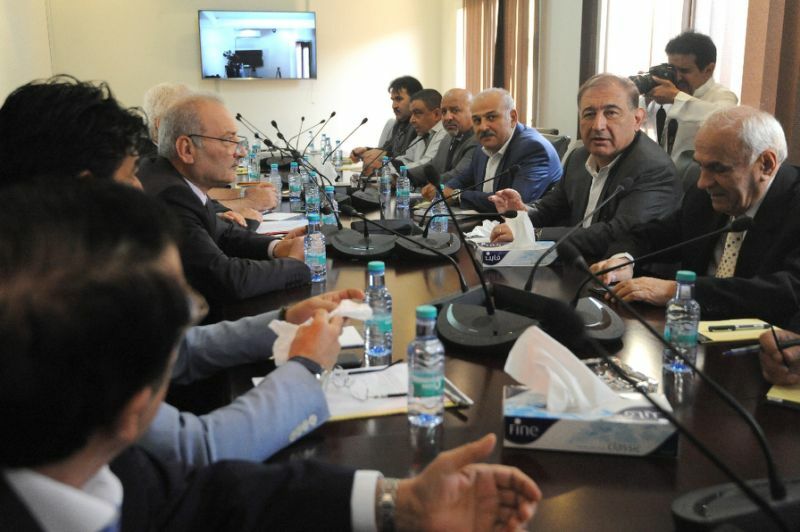 Beirut, Riyadh– Syrian opposition meetings in Riyadh ended on the first day without managing to form a unified delegation to participate in the Geneva negotiations. The meetings in Riyadh, which were supposed to stretch over two or three days, saw an exchange of accusations between the High Negotiations Committee (HNC) and the “Moscow” platform over the failure to form a unified delegation, highlighting an almost impossible quest to overcome thorny disputes, especially those related to the power transition and the fate of dictator Bashar al-Assad. Sources who attended the Riyadh meetings on Tuesday told Asharq Al-Awsat that the Moscow platform has stressed its adherence to UN Security Council Resolution 2254 as the sole and fundamental reference point in the negotiations, while the HNC has underlined its commitment to the outcome of Geneva 1 and all international resolutions, including UNSCR 2118, 2254 and General Assembly Resolution 60/262. He noted that the “Moscow” platform would rather not discuss Assad’s fate at the present time, but focus instead on “common denominators”, a proposal which was strongly rejected by Aridi. “How can I negotiate with the representative of Assad on the departure of the President?” Aridi asked. “His departure is an essential part of the political transition and cannot be ignored,” he added.